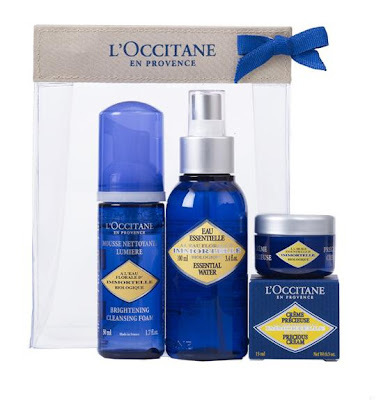 Attended L'occitane and Style Magazine beauty workshop a while back, in conjunction to the launch of L'occitane immortelle range. Immortelle is long known as the everlasting flower because they retain form and colour, even after they are dried. 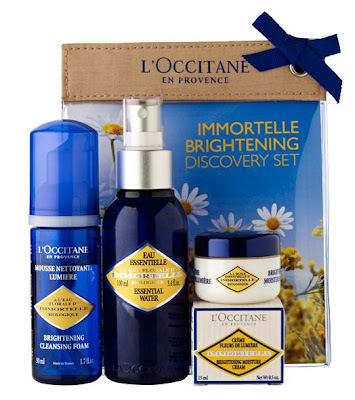 Therefore, L'occitane use this amazing flower extracts to create brightening and anti ageing skin care range. - toner is needed after we cleanse our face with facial wash to ensure all dirt has been removed and to prepare our skin for the moisturizer. - use ring finger to apply eye cream, inside out direction. not rubbing it. - while applying moisturizer, apply with upwards direction (chin, cheek) not back and forth. - do not forget the neck area while applying beauty products. - anti ageing products shall be used when we reach 25 and beyond. 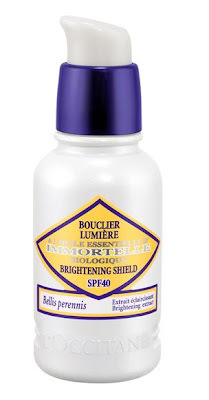 I personally love the Immortele brightening moisture cream and the Immortele brightening UV shield. 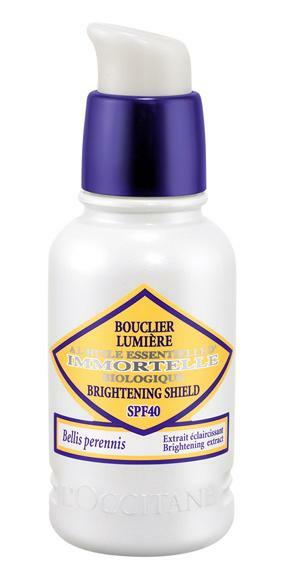 The sun screen has SPF 40 which will protect you under the constant sun for seven hours and it doesnt feel sticky or oily. Tottally adore the Cherie lotion, moisture well and it has nice smell :) I bought Shea butter hand cream and Shea butter balm- which can be used as lip balm or nail cream. And i totally looove them! the handcream is not oily and it feels so soft after applying it, while the balm acts very well as lip moisturizer for my dry lips. Totally recommended! their shea butter hand lotion is the best one, fhen. it's alongggggg time not coming here and eye-ing on you, so how are u? One of my fave beauty brand!